The Woods of Moccasin Wallow is one of several housing projects revived in Palmetto around late 2016 as interest in Manatee homes for sale picked up anew after the last housing downturn. Adams Homes of Gulf Breeze, Florida, took over homebuilding in this property erstwhile known as the Keystone Ranches earlier zoned as a mixed-use development. This builder has planned up to 117 homes for sale in the Woods of Moccasin Wallow. Earlier in 2009‒20015, Inland Homes built and sold only about a dozen residences in this community, after which this Tampa-based builder packed up. Strategically located in the southwest quadrant of Interstate 75 and Moccasin Wallow Road, this property is likewise approved for retail and office space (268,206 square feet). It also has approval for a light industrial component (340,400 square feet). The Shoppes of Moccasin Wallow, a new, 13,200-square-foot commercial strip, already occupies the north roadside end of this mixed-use development. An elementary school, the Imagine Charter School at North Manatee, is likewise already operational within the Woods of Moccasin Wallow property. The sites of homes for sale at the Woods of Moccasin Wallow are located on the southern part of the parcel. These are large lots platted either next to lush woodlands and verdant landscaping or are sitting next to the property’s centerpiece Joyce Lake. 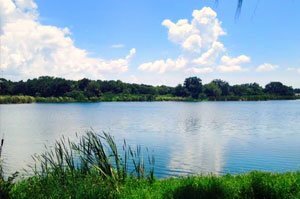 This lake provides a launch for kayaks and canoes, thus offering an enjoyable recreational activity right within the community. Other amenities in the Woods of Moccasin Wallow include a spacious lakeside park with picnic groves, a gazebo, a separate bath house, winding paved paths, and an outdoor basketball court. Adam Homes offers 12 floor plans at the Woods of Moccasin Wallow. These picks measure from 1,368 to 3,389 square feet, designed with three to five bedrooms and priced in the $200s‒$300s range. The potential for the appreciation of property values in this community looks favorable too. Economic development has been catching up fast in the Bradenton‒Palmetto‒Parrish area, with an increasing number of business locators drawn by the vibrant investment campaigns of local officials and the private sector. In Palmetto, the city is pursuing a vigorous redevelopment program of its downtown area, which includes road and park improvement projects. Whatever new facilities which would be coming in surely should further enhance the quality of life in the Woods of Moccasin Wallow. Residents of the Woods of Moccasin Wallow need not wait though for such enhancements to pan out. Their community’s location is convenient to various local points of interest which are already well-established. All these could be found not only in Palmetto but also in Bradenton, Lakewood Ranch and Sarasota towards south. Westward from Bradenton, the joys of living in the Woods of Moccasin Wallow extends to the beaches of Anna Maria Island. 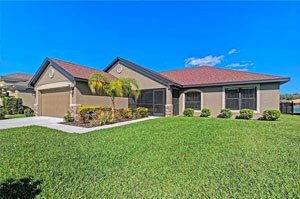 More life and leisure possibilities are easily accessible too northward to Tampa, given this community’s proximity to the highway corridors of Interstate 75 and Interstate 275 which are vital as well to future growth in Palmetto and its residential communities. 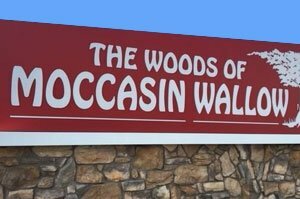 Below are the current real estate listings available at Woods of Moccasin Wallow. Listing courtesy of: ADAMS HOMES REALTY,INC.